View our list of WIC Clinics, Office Locations and Programs in Live Oak, Florida below. Select the location to find out more specific information. See all Suwannee County Florida WIC Clinics. Hours: 1st, 2nd, 3rd & 4th Thursdays & Fridays, 1st and 3rd Wednesdays. Location: From Highway 129, take Winweedle St. (BP station and cemetery on corner). Go about 1/2 mile to Houston Ave., turn left then quick right onto Noble Ferry Rd. WIC is in the Health Department about 1/2 mile down the road. Recertifications by appointment for women and infants. 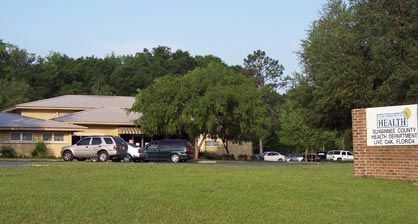 Due to the small amount of offices in Live Oak, we have listed some area listings below. In our search we do not limit the listings by state. Important: different States have different WIC policies. If you are calling about WIC in one particular State, you will need to contact another WIC program office in that same state that you live in.